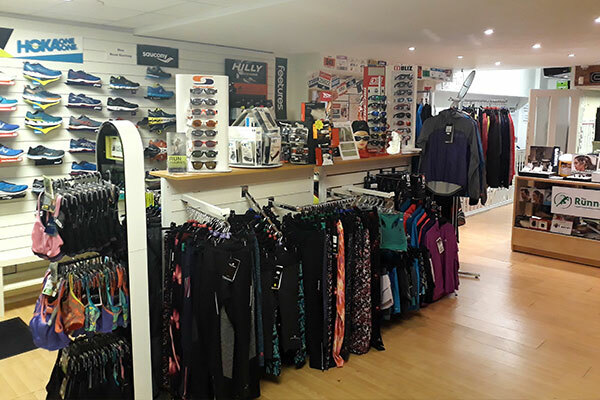 The Runners Hub is a specialist running store selling top quality brands such as Asics, Inov-8, Mizuno, Saucony, Hoka, New Balance and Ron Hill running shoes, clothing and equipment. Established in July 2016 by Nigel Crompton after his early retirement from the NHS. Nigel is a qualified level 2 UKA Endurance coach and club captain and coach at nearby Pensby Runners. 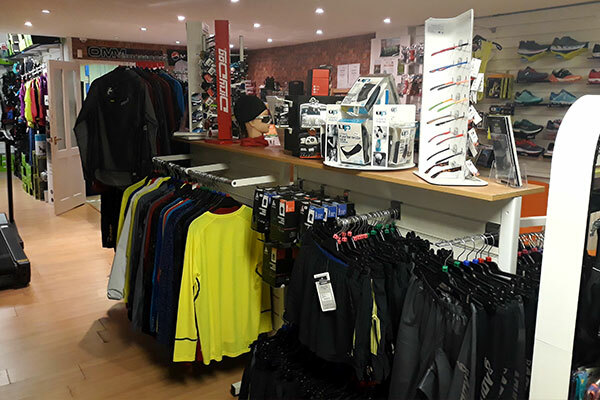 The Runners Hub also incorporates a coffee and juice bar and we encourage local runners to come along, relax, meet up with others to go for a run or just simply chat about running. All the staff in The Runners Hub are runners themselves and running is what we like to talk about! 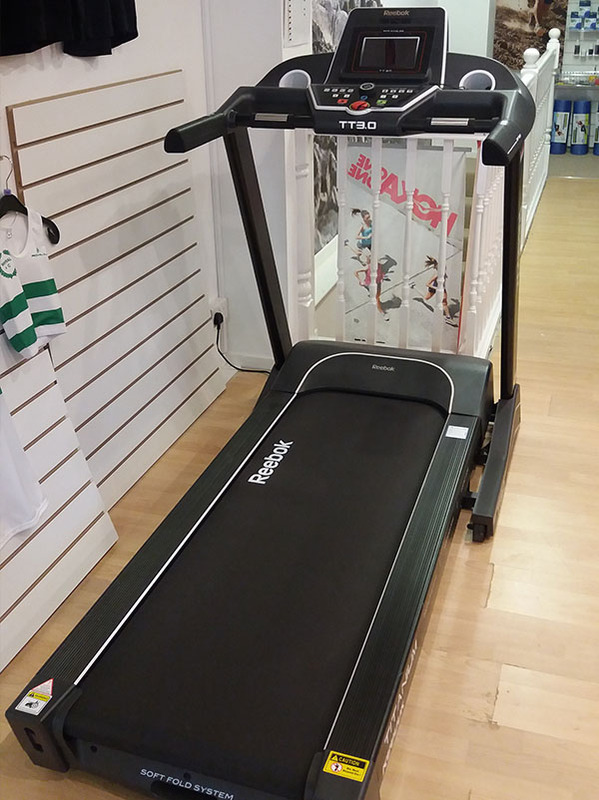 Our aim is to provide a quality service that guarantees the customer gets the right product with advice, gait analysis and the chance to try out several shoes on our instore treadmill to be really sure that you have the right fit for you. 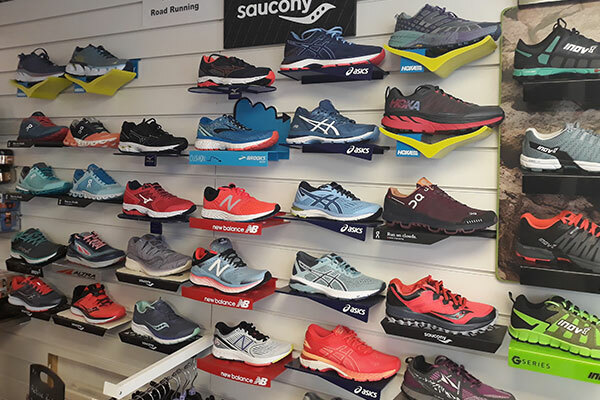 We also stock a range of neutral, cushioned shoes for road running with a broad range of shoes from top quality brands. Come in and have a look. We have a range of shoes for different needs including various types of stability shoes for those who may need additional support. 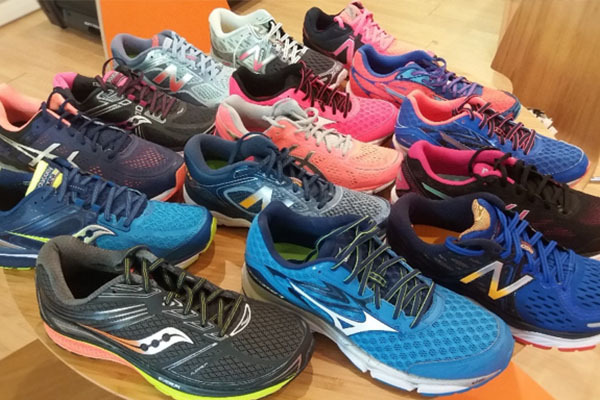 Before fitting a customer to a pair of shoes we do a comprehensive gait analysis (see below) to ensure that this is the right shoe for you and the level of support is appropriate to your individual needs. 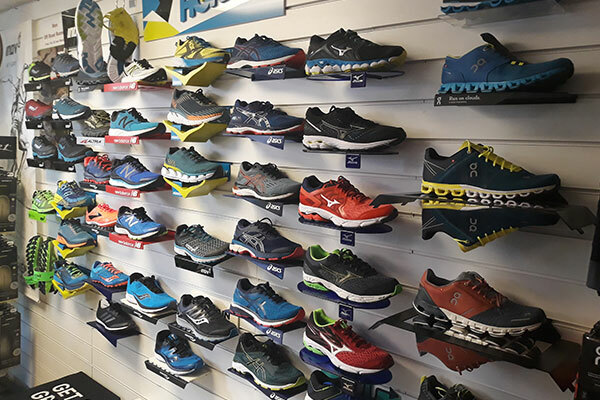 We also stock a range of trail shoes. Off road running is really taking off in England with more and more runners taking to the trails, the fells and events like Tough Mudder and Tuffnutz. 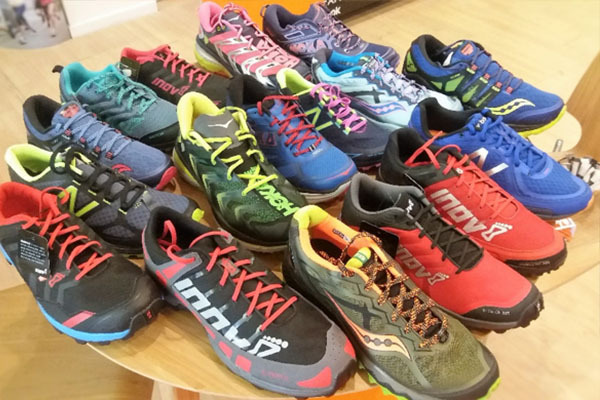 We stock Inov-8 fell and trail shoes along with those from other brands too including the increasingly popular Hoka One One. We also stock the Inov-8 Mudclaw Classic in store, the best grip of any fell shoe on the market. 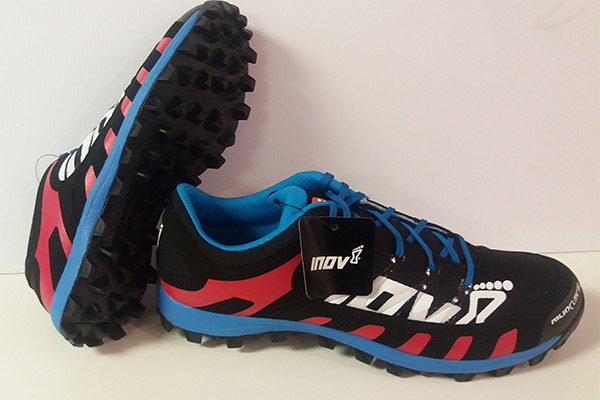 As an Inov-8 all terrain specialist store we are one of only a selection of stores in the UK to sell these. For these and a full range of our Inov-8 off road shoes, visit our store. 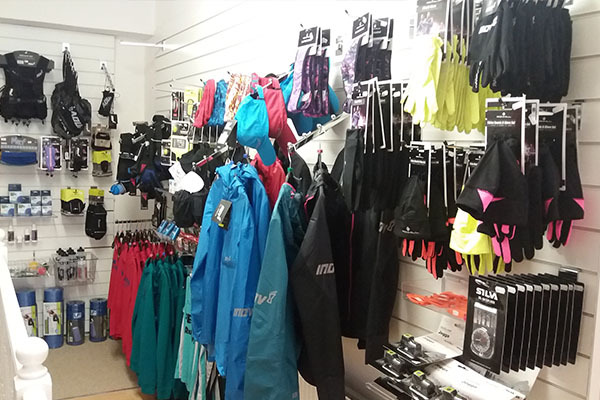 We have a wide range of running equipment for road and off road runners including reflective gear, headtorches, waterproofs, whistles, bottles, various belts and packs, running metronomes, sports bras, hats, gloves, compasses, GPS watches (Polar and Garmin), foam rollers, Kinesiology tape and much, much more. 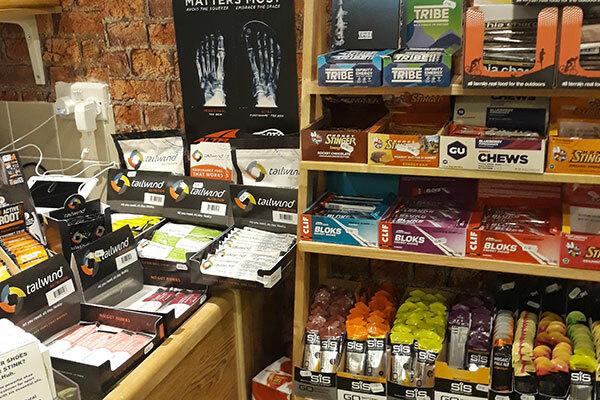 We stock a wide selection of products to help nourish and energise your training from High 5, SIS, Gu, Clif, Bounce and Chia Charge. Drinks, Gels, bars, protein bars, sports beans and more. We undertake a comprehensive gait analysis for those who require it which includes some functional tests and further analysis on our treadmill where you will be filmed using specially designed software from different angles in order to get a true picture of your gait. We will ask you questions about your current running, your aspirations in running and any injury history. It is always useful to book in advance if you feel you will require gait analysis and it can take approximately 40 – 45 minutes. You will need to attend wearing your running clothes (shorts or running tights in order that we can observe joints) and bring along your current or old running shoes in order that we can observe wear pattern.